USTA INTERMOUNTAIN IS LOOKING FOR DOUBLES PARTNERS! USTA Intermountain currently boasts membership of more than 38,000. Tennis maintains the top spot as the fastest growing traditional sport in America for the past decade. Tennis fans are highly educated, affluent, homeowners, skewed heavily toward business decision makers and professionals. More than 70 percent have a household annual income of $100,000 or more and 47 percent $150,000 or more. 87 percent have completed some level of college education. We put the sport of tennis and our 38,000+ members behind our partnership with you! For more information, contact Wendy Anderson, USTA Intermountain Marketing and Commuications Manager, at (303) 518-9545 or wanderson@ita.usta.com. *Data from 2015 BNP Paribas Open Tournament advertising research. Today, more than ever, it truly pays to be a member of USTA Intermountain. USTA Intermountain has partnered with GEICO to offer you a special discount on car insurance. Plus, every quote helps support USTA Intermountain programs and events! Contact GEICO today by visiting www.geico.com/disc/ustai or by calling 1-800-368-2734 to receive your free quote. New GEICO policyholders report average annual savings of $500 and you could save more when you mention your USTA-Intermountain affiliation. Once you’re a GEICO policyholder, you’ll receive prompt, professional service 24/7. GEICO is also able to help you find great rates on homeowners, renters, umbrella, and even motorcycle coverage. 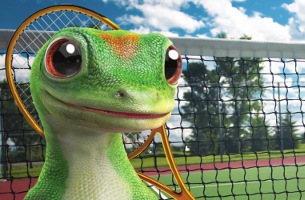 Take advantage of your USTA-Intermountain discount and find out how much GEICO could save you!